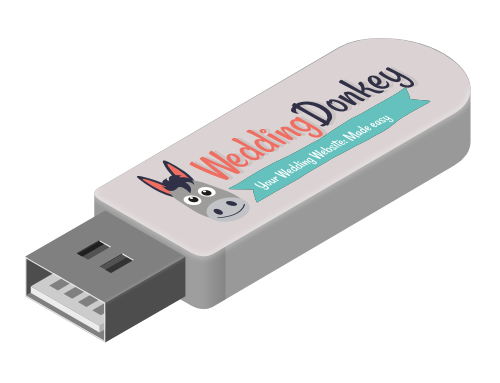 If you would like to keep your wedding website after the wedding, you can purchase a USB stick with your website so you can look at it at your disposal. Moreover, we will copy all your uploaded photos into a folder structure on the stick so you can view them on a TV with USB input. This is also a perfect gift for your wedding guests. Shipping costs are included in the price (Switzerland only). Delivery will take two to four weeks.